Pride, you know, is the casue of all sin and is the dark cloud that hides from our view Jesus' bleeding and suffering for us, and closes our ears to our sweet Saviour's call, "Take up thy cross and follow me" - not on a path of roses. No, no, not on an easy road, but one that is full of thorns and rocks. We followed the call of Jesus to come to Him as His Spouse, and since we are numbered among His chosen ones, it behooves us, to take up our cross and follow him. Our own dear Saint Francis, the Saint who followed so closely our dear heavenly Spouse in deepest humility, he was ever ready to obey the simplest novice. How will our life compare with his. Try to accept what God is pleased to give you - no matter how bitter. God wills it is the thought that will strengthen you and you over the hard places that we all have to experience if we wish to be true children of God.... I trust God will grant you the graces that you need to sanctify yourself. Time is flying. Let us make use of the fleeting moments. They will never return. Do not lose courage even if your worries seem difficult. Flee in such moments to the Sacred Heart. There you will always be consoled. The Holy See and the LCWR: What's really happening? Writing in The Catholic World Report, Ann Carey has an excellent article in which she takes a look at The Church and the Sisters and asks What Is Really Happening? Additionally, the CDF document emphasizes that the initiative is addressed only to the LCWR, a 1,500-member organization to which many leaders of women’s religious orders belong. The initiative is not directed to the other 54,000 sisters in the United States who do not belong to the LCWR, though press reports have tended to confuse this point and characterize all sisters as members of the LCWR. At its 1971 annual assembly, the LCWR changed its statutes, its purpose and its name without Vatican approval, thus beginning 40 years of conflict with the Vatican. The Vatican insisted on changes to the new bylaws, to acknowledge the authority of the bishops and the Holy See. The Vatican also took three years to approve the name change, and only then said the new name should be accompanied by a sentence giving the original name. The transformation of the superiors’ conference, which moved the organization away from Church authority and the traditional models of religious life to emphasize political, justice, and liberation issues, caused some sisters to leave the conference in the early 1970s and form their own small group of superiors. The Vatican tried for years to reconcile the women superiors, but finally concluded this was impossible, and canonically erected another group of women’s superiors in 1992, the Council of Major Superiors of Women Religious (CMSWR) for superiors of orders that have retained a more traditional style of religious life and close ties with the institutional Church... Even though CMSWR members represent fewer sisters, CMSWR communities are receiving the majority of new vocations and have an average age in the 30s, whereas the average age in LCWR-related communities is in the 70s. Thus, while the sisters might have been “stunned” by the contents of the document, they had no reason to be surprised that it was coming. Additionally, the LCWR had been given a “doctrinal warning” by the CDF in 2001 to correct doctrinal problems. When no progress had been made in seven years, the CDF told the LCWR in 2008 that it would undertake the doctrinal assessment. Thus, eleven years passed between the first warning and the issuance of the CDF directive. Steven Spearie of the State Journal-Register has written a good article about Bishop Paprocki's recent appointment to assist Archbishop Sartain in his task with the Leadership Conference of Women Religious. Paprocki said he’s read many articles dealing with the fallout of the CDF report, articles often accompanied by “nuns in habits” stereotypes “that are misleading or outdated.”Paprocki said he doesn’t know how efforts to re-form LCWR will fly canonically, given that organization was set up by and is responsible to the Holy See. “If you took a survey of LCWR individuals, my guess is that the vast majority haven’t moved beyond Christ or they wouldn’t be nuns,” said Paprocki. “My hope is that this wouldn’t be a problem for them. “If it is, it says something else” [more]. Spearie has clearly done his homework on this one. If you're curious as to what brought about this assessment of the Holy See, Father Zuhlsdorf has put together a post to help you: Nuns Gone Wild: A Trip Down Memory Lane. Since the release of the assessment, the Get Religionistas have been doing there own good work examining the reporting concerning the new panel. Terry Mattingly wonders if the Vatican picks a side in the nun wars and Mollie is skeptical about "stunned" sisters. That imagery — three men, acting on behalf of a male-dominated Curia, assuming leadership of an organization of women religious — proved irresistible to Vatican critics, eager to drive home the point that the Catholic Church doesn’t care about one half of the human race (as the proprietor of a once-great American newspaper once told his new Rome bureau chief as she was leaving the U.S). Others were eager to use the Vatican action to prop up crumbling public support for Obamacare: The good sisters of the LCWR supported Obamacare; the aging misogynists at the Vatican whacked the LCWR; see, Obamacare must be right, just, proper, and helpful toward salvation! The problem with the former criticism, of course, is that the Catholic Church is the greatest educator of women throughout the Third World and the most generous provider of women’s health care in Africa and Asia; there, the Church also works to defend women’s rights within marriage, while its teaching on the dignity of the human person challenges the traditional social and cultural taboos that disempower women. 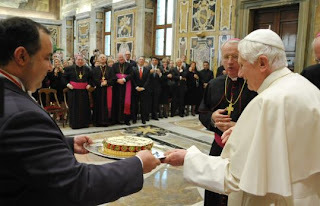 As for the notion that the Church’s Roman leadership put the clamps on the LCWR because “the Vatican” objects to Obamacare, well, that would be the first European-style welfare-state initiative to which “the Vatican” has objected in living memory. What both these lines of critique fail to grasp is that the problem posed by many of the sisters within the religious orders that make up the LCWR, and by the LCWR as an organization, is precisely the problem noted by the Master of Trinity: “Another God, another mountaintop.” The difference is that Harold Abrahams acknowledged his unorthodox views, while the LCWR leadership, to vary the cinematic metaphors, took on the role of Captain Renault, professing itself “shocked, shocked” that anyone could imagine anything doctrinally awry in the organization or its affiliated orders [more]. The Curt Jester takes a look at the so-called Return of the Rottweiler. The Catholic Thing's Stephen P. White takes a look at the Bad Religion of the LCWR, taking as his launching point the statement made by the scheduled speaker for the 2012 gathering of the LCWR that Jesus "did not die." Naturally, that statement is rather problematic for a Christian. Father Cory Sticha, who was a year or so behind me in the seminary, had a thoughtful post two week's ago (I'm slowly working at catching up on my blog reading) about why he refuses to bless children [and, presumably, adults] at Communion. I'm very sympathetic to his position and he raises several interesting points to support his argument, the first of which is the clear teaching of the Second Vatican Council: "Therefore no other person, even if he be a priest, may add, remove, or change anything in the liturgy on his own authority" (Sacrosanctum Concilium, 22). He wisely notes, "people don’t like to hear that. They think it makes the kids feel “special” that they receive this blessing. (As an aside, I think the parents and grandparents get the warm-fuzzies more than the kids do.)" From my own experience watching children and their parents at Communion when a blessing is given, he's quite right about that aside. I would add that helping someone "feel special" is not the same as helping them know they are loved, both by people and by God. Father Sticha thinks "this 'feel good' approach is sending the wrong message about the liturgy." I’ve also become concerned that this has dangerously damaged their relationship with God, and they are blissfully unaware that any damage has been done. Instead of liturgy being the community focusing their minds and hearts on worship of God, it has become a social activity, focusing on ourselves. Now, we don’t come to liturgy to turn to God, but to ourselves. Here again, I think he is spot on. Be sure to read his entire post. Another aspect worth considering is the customary - at least in the U.S.A. - of the "pew-by-pew" line-up to receive Holy Communion. Yes, it's orderly, but it also leads to some feeling as though they have to leave their pew and go with the flow, as it were. We must remember the obligation to attend Holy Mass on Sundays and holydays is not the same as receiving Holy Communion. If those who should not be receiving Holy Communion - because of unconfessed mortal sin, not keeping the Eucharistic fast of one hour, not spiritually having prepared to receive Holy Communion, etc. - would not receive Holy Communion, there would be people remaining in the pews. Now, there, everybody - or nearly so - comes up either for Holy Communion or a blessing. I've even been at school Masses where Muslim students attending a Catholic School come forward to receive a blessing, which makes no sense at all. We should not forget that at the conclusion of Mass - presuming, of course, we don't leave right after receiving Holy Communion - that everyone receives the priestly blessing. Hence, receiving the priestly blessing at the time for the reception of Holy Communion is somewhat redundant. Now, I know that many people will disagree with me and with Father Sticha about this and they are free to do so. However, if comments are left, which I welcome, please do not accuse either of us of disliking children or of ignoring Jesus' call to "let the children come to me." Neither of us - or others who agree with us - are saying children should not come to Mass, only that they should be brought forward to receive a blessing at the time of Holy Communion. Neither should adults. Nor are we saying children should simply be left in the pews on their own; that would be ridiculous. A discussion can certainly be held about this issue, but it must remain charitable. 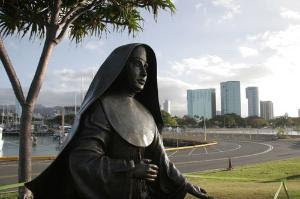 His Excellency the Most Reverend Clarence "Larry" Silva, Bishop of Honolulu, recently gave an interview to Zenit's Ann Schneible in which he spoke about the Hawaiian's devotion to Saint Damien of Molokai and to Blessed Marianne Cope. Yet if we take the last seven years into view, not just the last week, the picture changes considerably. Quite often, the most intriguing feature of this papacy isn't how Benedict has confirmed expectations, but rather how he's confounded them. Indeed, if John Paul II was a "pope of firsts" and a "pope of surprises," Benedict XVI may well go down as a "pope of ironies." I suspect Allen may well be correct in this assessment. Be sure to read his piece in which he offers eight examples of what he means. This morning I decided to resume my practice of walking to my office. It's an easy 2.5-mile walk from the Cathedral rectory to the Catholic Pastoral Center and affords a bit of quiet in the day and is also a good chance to catch up on podcasts from Catholic Answers Live. Naturally, I walk on the sidewalk, except when I cross a street; then I use the crosswalk. This morning, though, I had a difficulty sticking to this ordinarily simple plan. Because of the glare, you can't make out the signs. The sign immediately in front of me (on the left) read: "SIDE WALK CLOSED USE OTHER SIDE." The sign on the opposite sidewalk (on the right), which I was directed to use, read: "SIDE WALK CLOSED." I hope I don't get in trouble for walking in the street on my way to the office. I'm happy to say that it's been a while since I've been pulled over for a moving violation. Even so, there are three words we all dread when sitting behind the steering wheel: "License and registration." This Identification Card must be carried at all times in those vehicles designed to carry more than 10 persons, or to pull or carry property, freight, or cargo; those that are designed or used for living quarters, and school buses (625 ILCS 5/3-416). If you travel outside Illinois, you may be [sic] required to exhibit this vehicle registration card as proof of ownership [emphases original]. Now, my car is not designed to carry more than 10 persons; at best, it can five. It's not designed to pull or carry property, etc. Nor is it designed as a living quarters, despite the amount of time I spend in it. And it certainly isn't a school bus. Given all of this, why do the police and State troopers in Illinois automatically ask for our license and registration if we aren't required to carry the registration card with us? I know: I need to stop thinking. Should I live a thousand years I could not in ever so small a degree thank him for his gifts and blessings. I do not expect a high place in heaven - I shall be thankful for a little corner where I may love God for all eternity. This evening I finished reading Pilgrimage & Exile: Mother Marianne of Moloka'i. Despite the title, the book focuses moreso on the people, places, and events surrounding Blessed Marianne than it does on the heroic woman herself. Nonetheless, I think it is worth a read if you are interested in the woman who will be canonized on October 21, 2012. Among the more memorable parts of the book is a description of the clothing worn by the Hawaiians in Honolulu to Mass on Christmas Day in the 1880s. Sister Bonaventure, one of Mother Marianne's Sisters, recorded the following: "I believe most of them had on shoes, but as a general thing most of them go barefooted" (99). The authors of the book add the following comment: "Not only the high cost of shoes, but also the acute discomfort of having to wear them, made sensitive Hawaiians avoid those Haole [white foreigner] inventions on ordinary days. But Christmas Day, being a most special feast day, brought them out in all their torturesome finery." Frankly, I agree with those Hawaiians' assessment of shoes. I've never liked them and kick mine off at every chance I have. "Torturesome" seems a perfectly apt description for them. Then candidate Obama ran his campaign on the slogan "Hope and Change," without ever specifying in what we were hoping or what change we were getting. Some of us, however, knew the answers and so looked on this message with great skepticism and urged others to do the same. Today I finished reading A People of Hope: Archbishop Timothy Dolan in Conversation with John L. Allen, Jr. (New York: Image Books, 2012). The book is well-worth your reading. Pardon me for being a name-dropper, but in my meeting with President Obama, he said, "The government can't give hope, and the government can't love. You in the church can, and please keep doing it." In the long run, isn't that the only thing we have to offer (207)? The cynic in me can't help but point out the obvious contradiction between the words of the Presidential Candidate and the words of the President, which also happen to be the words of the same man. Have Mr. Obama's thoughts about hope changed, or did he run on a lie? That is a question only he can answer, and hopefully he will. At the same time, though, it seems beneficial to draw a distinction between hope and mere optimism because it seems to me that more people were optimistic about Mr. Obama's message - whatever it was - and election than were hopeful (though, to be sure, few would be able to make the distinction). The hope of the Christian is not as Denethor said to Gandalf as the armies of Mordor encircled the city of Gondor: “[T]hy hope is but ignorance.” Such a hope is founded only on possibilities, the chance of victory, but the hope of Christians is founded on no mere possibility, but on a certainty. It is founded on the certainty of the Birth of Jesus Christ at Bethlehem and of his glorious return at the end of time. What is more, it is founded on the certainty that “the Lord is near,” present in the Scriptures, in his sacred ministers, in his people and, above all, in the Holy Eucharist (Philippians 4:5). The one who has hope – true and authentic hope and not simply optimism – is the one who has God, or, rather, who is possessed by God and has known his love. The hope of Christians is founded on their union with Christ, who has baptized them “with the Holy Spirit and fire” (Luke 3:16). This is why the one who has hope lives differently. They are to live, as Saint John the Baptist teaches, lives of generosity, honesty and humility, in imitation of Christ Jesus (cf. Luke 3:10-14) [more]. The distinction, then, between hope and optimism of the foundation of the two; hope is founded on God whereas optimism is founded on humanity. ..."optimism" is the theological virtue of a new god and a new religion, the virtue of deified history, of a god "history," and thus of the great god of modern ideologies and their promise. This promise is utopia, to be realized by means of the "revolution," which for its part represents a kind of mythical godhead, as it were a "God the son" in relation to the "God the father" of history. In the Christian system of virtues despair, that is to say, the radical antithesis of faith and hope, is labelled as the sin against the Holy Spirit because it excludes the latter's power to heal and to forgive and thereby rejects salvation. Corresponding to this is the fact that in the new religion "pessimism" is the sin of all sins, for to doubt optimism, progress, utopia is a frontal attack on the spirit of the modern age: it is dispute its fundamental creed on which its security rests, even though this is always under threat in view of the weakness of the sham god of history" (The Yes of Jesus Christ: Spiritual Exercises in Faith, Hope, and Love [New York: Crossroad Publishing Company, 1991], 42-43). Continuing his reflections, he made a further, helpful distinction between what he calls an "ideological optimism" and an optimism that "springs from someone's temperament and nature" (45). Clearly, the second form of optimsim is not here in dispute, which he says "by means of Christian hope it can grow and become yet more purer and more profound" (45). An ideological optimism, he explains, "can exist both on a liberal and on a Marxist foundation," the first of which is "faith in progress through evolution and through the scientifically guided development of human history" and the second of which is faith "through the class struggle and revolution" (45-46). Looking both at what President Obama has said and what he has done, in conjuction with the words and actions of his friends, mentors, and advisors, his form of optimism clearly is a mixture of the two. Hope and optimism are not only different in their foundations but also in their goals. Optimism's goal "is the utopia of the finally and everlastingly liberated and fortunate world, the perfect society in which history reaches its goal and reveals its divinity" (46). Hope's goal, on the other hand, "is the kingdom of God, that is the union of the world and man with God through an act of divine power and love" (47). This is where the problem of death crops up. Ideological optimism is an attempt to have death forgotten by continually talking about history striding forward to the perfect society. The fact that this is to skirt round what is really important and that people are being soothed with a lie becomes obvious whenever death itself moves into the vicinity. The hope of faith, on the other hand, reveals to us the true future beyond death, and it is only in this way that the real instances of progress that do exist become a future for us, for me, for every individual (48-49). Hope must flow from faith. Faith has to be a part of it. The reason I am a man of hope, the reason the Church is a people of hope, is precisely because of faith. My faith is that there is a God who happens to love us, who happens to hold us in the palm of his hand, who happens to have sent his only begotten Son to save us and to promise us eternity, and who assured us that he'll be with us always even to the end of days, and who inspired Paul to write that ultimately everything works to the good for those who believe. That's faith, okay? From the theological viture of faith, hope will flow (213). This explains why the one who has hope lives differently, while the one who has an ideological optimism does not. 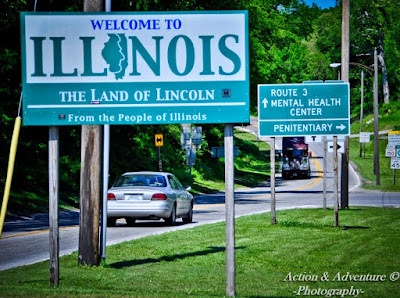 Welcome to Illinois, the land of corrupt politicians. Let us move forward in the joy of the Risen Lord, confident of his unfailing help. The Lord will help us and Mary, his Most Holy Mother, will be on our side. Thank you. In response to an anonymous "friend in Jesus"
Dear Fr. Darren [sic]: I am writing this letter to you in hopes that you again become acquainted with Jesus this weekend & remember what it is like to feel that unconditional love. I hope that you will remember that there are many who love & serve Jesus, each of us in our own way. I have seen your postings on FB & am appalled at the negative & hateful way you speak to people because they do not follow every nuance & letter of the law. The way you speak is not in the spirit of Jesus Christ. Perhaps you need to look inward & ask yourself what it is you are hiding or running from. Perhaps these people have something you no longer have - the love of Christ livining [sic] in them. Ask yourself why you no longer have a parish - Is it the way you treat people? You didn't use to be like this. Read Matthew 23 - quit being a hypocrite. I'll be praying for your conversion. I've been meaning to respond to this letter for some time, but until now it has remained at the bottom of a stack of papers. To be quite frank, I'm not really sure to which comments or posts on Facebook to which this person. The only thing that comes to mind is a time when I challenged some people's vicious and hateful attacks on Bishop Finn when he said people should not hold hands during the Lord's Prayer at Mass. What I said is that someone who claims to be a faithful Catholic cannot at the same time hurl attacks at a Bishop because of what he says about matters of liturgical practice. I still stand by this statement and will not back down from it. Many people were very offended that I would dare to defend the Bishop and challenge their adult-style temper tantrums. I may have responded a bit over-zealously to their comments, but my tone was certainly not at the same level as those attacked Bishop Finn with words filled with much hatred. Part of the trouble here, I suspect, is that tones of voice are not easily inferred through the written word, especially when passions are high on both ends. The person who posted the comment that sparked the diatribe later apologized to me for the childish behavior that ensued by other commenters; that was not in the person's original intentions. If this is what led to this letter, I believe I know the identity of the anonymous writer, but because I do not know with certainty, in fairness I cannot ask her. To that end, I will answer the letter here, which will also be posted to Facebook. I should first like to point out that anonymous letters have no place in the Christian life (this is why most people simply ignore anonymous letters and throw them away). Jesus said, "If your brother sins [against you], go and tell him his fault between you and him alone" (Matthew 18:18). This requires a personal encounter, marked by genuine love and concern. Such love and concern cannot be shown - and, indeed, are quite absent - from an anonymous letter. The only people who write anonymous letters are people who lack integrity. One might say that Jesus doesn't like anonymous people. Remember what he says, "Not everyone who says to me, 'Lord, Lord,' will enter the kindgom of heaven... Then I will declare to them solemnly, 'I never knew you'" (Mathew 7:21-23). Those who know me well know that when challenged or corrected in a respectful fashion, I do listen openly and look to see their point of view. The anonymous "friend in Jesus" gives me no opportunity to listen and no actual concerns to which I can respond. The writer presumes a great deal and - without quite saying so - claims to know my heart, which also has no place in the Christian life. It should be remembered that Jesus is not a "nice guy;" nice guys are pushovers, and Jesus certainly was not a pushover. He spoke clearly and forcefully. I wonder what "the spirit of Jesus Christ" means for this writer. Certainly it is not present in the same Jesus who "made a whip out of cords and drove them all out of the temple area" (John 2:15). Certainly it is not present in the same Jesus who said, "You are like whitewashed tombs," the very passage cited by this anonymous writer (Matthew 23:27). Nor is it present in the Jesus who condemns "you brood of vipers" (Matthew 23:33). Nor is it present in the Jesus who says, "So, because you are lukewarm, neither hot nor cold, I will spit you out of my mouth" (Revelation 3:16). Jesus acted always in love, yes, but he was not always nice. The reason I no longer have a parish - or three parishes - is really quite simple: Bishop Paprocki called me to work with him as Priest Secretary and Master of Ceremonies to the Bishop and as the Associate Director of the Office for Vocations. These combined tasks cannot be done while also serving regularly in a parish. My current assignment has nothing to do with whatever I said on Facebook that greatly offended this person. I will be happy to discuss this anonymous person's concerns in person, in a charitable and civil manner, but this "friend in Jesus" must first come forward. We may not come to a full agreement on our different views, but a discussion can certainly be had and difficulties perhaps resolved. For the record, embryonic stem cell research has yet to yield a single scientific advance, while adult stem cell research has yielded at least 90 advances. In the Ozarks, a group of people have undertaken the excellent task of building a castle using medieval techniques (they're in need of money. Help them out if you can; I'd like to visit the construction). But they aren't the only ones looking back to the past. In Germany, plans are underway to begin construction of a new monastery the medieval way. Last I year I wrote a little post about a CD I picked up on the island of Moloka'i, A Tribute to Father Damien of Molokai. One of my readers has asked how he or she might obtain one of these CDs. Since I've only seen them on Moloka'i, I'm not sure how to obtain one. Can any of my Hawaiian ohana help here? Mahalo! the doctrine of the faith that has been revealed by God in Jesus Christ, presented in written form in the divinely inspired Scriptures, and handed on in the Apostolic Tradition under the guidance of the Church's Magisterium. Begun in 2008, the investigation and communications that led to today's assessment wereled by the Most Reverend Leonard Blair, Bishop of Toledo, who served as the CDF's Delegate for the Assessment. arises out of a sincere concern for the life of faith in some Institutes of Consecrated Life and Societies of Apostolic Life. 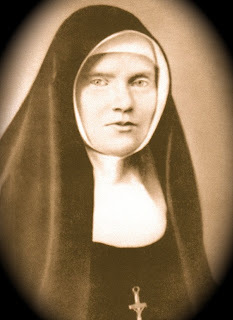 It arises as well from a conviction that the work of any conference of major superiors of women Religious can and should be a fruitful means of addressing the contemporary situation and supporting religious life in its most "radical" sense - that is, in the faith in which it is rooted [emphasis original]. This mandate is given "for a period of up to five years." "It will be the task of the Archbishop Delegate to work collaboratively with the officers of the LCWR to achieve the goals outlined in this document, and to report on the progress of this work to the Holy See." To assist the Archbishop Delegate the Holy See has appointed two assisting Bishops, the Most Reverend Leonard Blair, Bishop of Toledo, and the Most Reverend Thomas John Paprocki, Bishop of Springfield in Illinois. Today the Holy Father Benedict XVI is celebrating his 85th birthday in a particularly Bavarian fashion, surrounded by his brother and many of his countrymen. Pope Benedict has already made a number of historical benchmarks, and today he makes another: the last time a Pope reached the age of 85 was in 1895 when Pope Leo XIII. 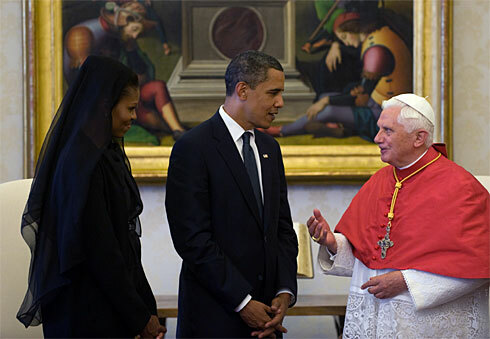 Pope Benedict XVI today is the 6th oldest Bishop of Rome. Let us ask the Father to bless our Pope with continued good health so that he might continue to lead us ever deeper into the myster of faith (not to mention sufficient "free time" to finish his reflections on the Incarnation for us). Ad multos annos, vivas! Gloriosque annos, vivas! Ad multos annos, gloriosque annos, vivas! vivas! Vivas! Yesterday morning as I made my way back to the rectory after a swim, I ended up at a stoplight behind a car with about a dozen bumper stickers plastered across the back window. Clearly, the owner of the vehicle like neither religion nor consersvatives. I wasn't surprised at the combination. 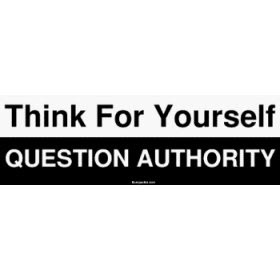 So, let me get this straight: I'm supposed to think for myself, but you are telling me to think for myself? Doesn't that mean I'm not, in fact, thinking to myself? Doesn't that mean that you have set yourself up as an authority and are now telling me what to do? The logic of liberal secularists will never make any sense to me. Whenever I meet with a couple to prepare them for the Sacrament of Matrimony, I always make a point to remind the bride that the wedding is not about her. Nor is it about the groom. Nor is it about the bride and groom together. The wedding day is about Jesus Christ and his love for his Bride, the Church, a love that is to be mirrored within the marriage of husband and wife. I also remind the bride that she is not a princess. We live in the United States of America where - so at least we claim - we like neither monarchy nor elitism. Some brides are taken aback by these two reminders, not doubt in part because these reminders fly in the face of what they've been since there were about four years old. Pomp and excitement engulfed Christians of Nebbi Cathedral, in Nebbi Town on Saturday as 219 couples exchanged marriage vows to remain together till death does them apart in a mass wedding. 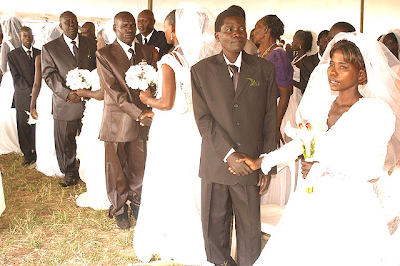 The wedding was organized by Nebbi Catholic diocese and sponsored by friends and well-wishers through St Peters Clever, Mulagu community parish. The Bishop of Nebbi Catholic diocese Rt Rev Lino Sanctus Wanok presided over the mass which he described as the first of its kind in his pastoral work. “It was on Saturday that God created human beings in his image and the image was in form of man and woman. Today in our diocese, we are experiencing a historic event that I have not witnessed in my life, that God is creating 219 families not in their ways but through sacrament of matrimony,” The Bishop said. The couples who were mostly above 40 years of age could not hide their excitement as they kept on showing their loves to their better halves to the over 5000 congregation who turned up to witness the occasion [more]. One of the most frequent complaints I hear from brides is about the cost of weddings. Though I always remind them that they do not need a large wedding party, an expensive dress, or a formal reception, they never listen (I take that back: one bride did listen, and the wedding was a truly happy occassion for everyone involved; the simplicity clearly pointed to their love). Just think how much money could be saved by celebrating marriages in one ceremony. Of course, that would mean that many people would have to realize - and publicly show - that marriage is not about them. Because I've been in youth ministry for a number of years now, I'm often asked a question something along these lines: "What's wrong with kids today?" It's a loaded question, of course, and carries with it all sorts of presumptions, which - in my experience - are not generally true. Even so, when asked this question I usually answer, "Their parents." Parenting observers cite the cancellation as a prime example of so-called "helicopter parents" — those who hover over their children and are involved in every aspect of their children's lives — to ensure that they don't fail, even at an Easter egg hunt. "They couldn't resist getting over the rope to help their kids," said Ron Alsop, a former Wall Street Journal reporter and author of "The Trophy Kids Grow Up," which examines the "millennial children" generation. "That's the perfect metaphor for millennial children. They (parents) can't stay out of their children's lives. They don't give their children enough chances to learn from hard knocks, mistakes" [more]. Parents, please don't ruin your children's fun by being obnoxious. Austin's Army is a group of about 15 retirees who come to the school at 1720 College once a week to tackle whatever fix-it projects need to be done. These aren't ordinary volunteers, either. In many cases, they are skilled tradesmen willing to lend their expertise at no cost to help keep one of Quincy's Catholic institutions flourishing. "They have all kinds of skills," Principal Lee Hoffman said. "We've got plumbers, electricians, bricklayers, carpenters and others. It's phenomenal what they have done around here. They do everything." Every Monday morning, Hoffman produces a list of projects for Austin's Army to carry out that day. The group's leader, Tom Rakers, reviews the list and assigns members to different tasks. Then everybody gets busy [more]. In my home parish of St. John the Baptist which was about a mile or so away from St. Francis, we had a similar group of retired men who called themselves the Over the Hill Gang. Their service was invaluable! I haven't encountered such a group outside of Quincy. Do other parishes have similar groups? This morning I have decided to again make use of the "word verification" feature when posting a comment. I know this can be irritating, but I'm tired of moderating spam comments. Prior to the Easter Vigil Saturday night, the deacon, the pastor, and I went out to where the fire would late be lit in the courtyard between the Cathedral and the school. It is a perfect space for the fire and for the congregation to gather around it, but it was rather windy at the time. We still had just over an hour before the beginning of the mother of all holy vigils, but I wanted to be sure we could move the Paschal Candle into the Cathedral without the blessed flame being blown out by the wind. I suggested that we could have the Bishop lightt the Paschal Candle and then light a small votive candle that could be shielded more easily and snuck into the vestibule of the Cathedral before the Paschal Candle, just in case we should need it. My idea was nixed. Neither the deacon nor the pastor knew the reference, but the servers did and so did the Bishop (who enjoyed it). The words come, of course, from Gandalf the Grey in J. R. R. Tolkien's great trilogy, The Lord of the Rings. Gandalf speaks the words on the bridge of Khazad-Dûm to the Balrog. He contines, saying to the "dark figure streaming with fire," "You cannot pass. The dark fire will not avail you, flame of Udûn. Go back to the Shadow! You cannot pass." As the lines ran through my mind again and again, I wondered if some connection might be made with the Easter Vigil, so I pulled out my Tolkien books to have a look. "Anor" is a Sindarin word for the Quenya word for "sun," coming from "Anar." The "Secret Fire" of which Gandalf speaks is the Flame of Anor, which is also called the "Flame Imperishable," the divine life-force of the world and of the universe. Then Anar arose in glory, and the first dawn of the sun was like a great fire upon the towers of the Pelóri: the clouds of Middle-earth were kindled, and there was heard the sound of many waterfalls. Then indeed Morgoth was dismayed, and he descended into the uttermost dephs of Angband, and withdrew his servants, sending forth great reek and dark cloud to hide his land from the daystar ([New York: Ballantine Books, 2001], 112). In Part One of The Book of Lost Tales, we learn that Melko "fared often alone into the dark places and the voids seeking the Secret Fire that giveth Life and Reality (for he had a very hot desire to bring things into being of his own)" ([Boston: Houghton Mifflin Company, 1984], 53). It is this Secret Fire that burns "at the heart of the world" (The Silmarillion, 55). It is to this Secret Fire that the Order of the Istari (the wizards) gave their obedience and it is this Secret Fire they wield. Tolkien was, as we know well, a devout Catholic, and his Catholic faith lies as something of a hidden foundation supporting the world of Middle-earth. 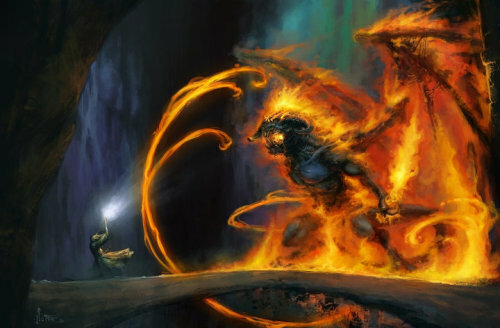 Consequently, it is right for us to examine the Flame of Anor and to look for possible connections to Christianity. During the great night of Easter, our attention focuses upon Jesus Christ, who referred to himself as the "light of the world" (John 8:12) and who is symbolized by the light of the Paschal Candle. Lit from the newly blessed fire which we pray will bestow "upon the faithful the fire of [God's] glory" and incised with the Cross, the Alpha and the Omega, and the calendrical year, and marked by grains of incense symbolic of the stigmata, it is held aloft in procession to "dispel the darkness of our hearts and minds" (Roman Missal, The Easter Vigil in the Holy Night, 10-14). As he sings the Exultet, the Deacon praises "the power of this night" that "dispels wickedness, washes faults away, restores innocense to the fallen, and joy to mourners, drives out hatred, fosters concord, and brings down the mighty." This night is embued with such power because it is the night during which Christ rose from the dead and salvation history is brought to its fulfillment. On this night, the Lord Jesus, whom the Exultet calls "the Morning Star who never sets," shows himself to be "the light [that] shines in the darkness, and the darkness has not overcome it" (John 1:5). Christ is the Flame Imperishable. What is more, "all things came to be through him, and without him nothing came to be. What came to be through him was life, and this life was the light of the human race" (John 1:3-4). Not only is the Flame Imperishable; Jesus also gives life and reality to the world. When at last he came into the world and took on our human flesh, "he came to what was his own, but his own people did not accept him" (John 1:11). His identity was made secret and not everyone recognized his light. The connections between Jesus and the Secret Fire are easy enough to make, but what of a possible connection between Gandalf - and, through him, the Order of the Istari - and priests? Writing to the Corinthians, Saint Paul said, "Thus should one regard us: as servants of Christ and stewards of the mysteries of God" (II Corinthians 4:5). A servant must pledge obedience to his master and a steward safeguards what is entrusted to him. We saw above that Gandalf and the Istari pledged their obedience to the Flame of Anor; before their ordination, priests promise obedience to their Bishop and his successors. At the same time, they promise to be faithful to the teachings and discipline of the Church, which is the Body of Christ. As Saint Paul says, priests are "servants" of the Light of the World. At the same time Gandalf serves the Secret Fire, he also wields it. The same can be said of priests. Jesus said, "I have come to set the earth on fire, and how I wish it were already blazing" (Luke 12:49)! When he wrote to Saint Timothy, Saint Paul urged him, saying, "I remind you to stir into flame the gift of God that you have through the imposition of my hands" (II Timothy 1:6). It is this flame that a priest wields, the Light of Christ himself, which is entrusted to priests at their ordination when the Holy Spirit is called down upon them, the same Spirit who descended upon the Apostles in "tongues as of fire" (Acts 2:3). Priests wield this gift, this flame, through the Sacraments. Priests are principally ordained to celebrate the Eucharist and to hear confessions and absolve sins. These two Sacraments of Eucharist and Penance each "dispels darkness, washes faults away, restores innocence to the fallen, and joy to mourners, drives out hatred, fosters concord, and brings down the mighty," as the Exultet sings of the Light of Christ. Through his priests, his servants, Christ the Lord "shed[s] his peaceful light on humanity" (Exultet) and those who follow him "will not walk in darkness, but will have the light of life" (John 8:12). It seems, then, that when the words of Gandalf came to me quite randomly - "I am a servant of the Secret Fire, wielder of the flame of Anor" - I wasn't too far off. Pope: "Life is stronger than death. Good is stronger than evil. Love is stronger than hate. Truth is stronger than lies." At Easter, on the morning of the first day of the week, God said once again: “Let there be light”. The night on the Mount of Olives, the solar eclipse of Jesus’ passion and death, the night of the grave had all passed. Now it is the first day once again – creation is beginning anew. “Let there be light”, says God, “and there was light”: Jesus rises from the grave. The darkness of the previous days is driven away the moment Jesus rises from the grave and himself becomes God’s pure light. But this applies not only to him, not only to the darkness of those days. With the resurrection of Jesus, light itself is created anew. He draws all of us after him into the new light of the resurrection and he conquers all darkness. He is God’s new day, new for all of us. Sometimes it seems that our strengths are also our weaknesses. We sometimes see this when our strengths play themselves out too well. I have spent the greater part of this past week attending to the necessary preparations - and their execution - for the celebrations of the Paschal Mystery of our Lord Jesus Christ and early Friday afternoon one of my strengths did become my weakness. Bishop Paprocki once quipped after I jokingly pointed out a simple lack of logic, "Father Daren tends to think too much." When he said this, he wasn't too far off the mark. I do think too much and one day it may well be the end of me. But I cannot help it. I notice this, particularly things that just do not make sense, that do not logically follow (I also notice crooked pictures sooner than most people). Then without any procession a deacon, wearing the humeral veil, brings the ciborium with the blessed sacrament to the altar. Two acolytes with lighted candles accompany the deacon, and they place their candles near or on the altar (325). Doesn't the presence of two accompanying servers carrying lit candles make a procession, even if a simple procession? See what I mean? I notice these sorts of things all the time, whether in print or in speech. Thinking too much in this way sometimes leads to a moment of levity, but it also often enough leads to frustration. For me, being logical isn't terribly difficult. One simple has to stop for a moment, think, and then proceed from the thought-through thought. The good thing about thinking too much is that as I judge failures of logic I am - though not enough - reminded of my own weaknesses and of my need for the Lord's grace and mercy. As we celebrate today the joy of the Lord's Resurrection, let each of us be aware of our need for his loving forgiveness and rejoice that he bestows it upon us freely. Alleluia! The Lord is truly risen, alleluia! To him be glory and power for all the ages of eternity, alleluia, alleluia (cf. Luke 24:34; Revelation 1:6)! For your Good Friday meditation, consider this Devotion to the Five Wounds. Today, dear brothers and sisters, we have before, as it were, a tale of three kisses. 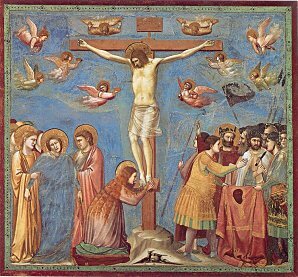 There is first the kiss of Judas; second, our kiss of the Cross of our Lord; and, third, the Lord’s kiss of us from his Cross. I praise and glorify you for your patient sufferance of that disloyal disciple, for though you foresaw that he was hastening to betray you, nevertheless, you did not manifest any anger toward him, nor did you speak any harsh words to him. You did not make his evil intention known to others, nor after so villainous a deed did you remove him from his office or refuse him Holy Communion. Some days ago, the Iscariot “arranged a sign” that “the man I shall kiss is the one; arrest him” (Matthew 26:48). 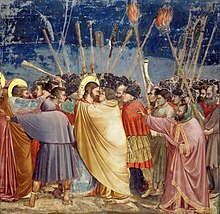 When stepped forward and offered what Saint Thomas More called “the terrible token of his treachery, Christ received him calmly and gently.” Jesus received his sign with love and said to him, “Judas, are you betraying the Son of Man with a kiss” (Luke 26:48)? We would do well to recall that during the Last Supper Jesus foretold his betrayer, though it somewhat veiled language: “It is the one to whom I hand the morsel after I have dipped it” (John 13:26). Then “he dipped the morsel and handed it to Judas, son of Simon the Iscariot” (John 13:27). From our vantage point, it seems rather obvious that Judas is the one to whom he referred as the betrayer, but it was not so obvious for the Apostles; none of them understood why Judas left the supper thinking he left to obtain something needed or to give money to the poor (cf. John 13:28-29). For so many years Judas acted like an Apostle; in effect, his life was a life. He appeared as one of the Lord’s faithful, but in his heart he was not. The external signs were present in his life, but not the interior motives of the heart. Is it really any different with us? How often do we appear to be his faithful followers by our outward appearances, but betray him interiorly by the motives and desires of our hearts? Then the clergy, the lay ministers, and the faithful approach, moving as if in procession, and showing reverence to the Cross by a simply genuflection or by some other sign appropriate to the usage of the region, for example, by kissing the Cross. On this day we are very much aware of the great gift the Lord has given us in his friendship. “No one has greater love than this,” he said, “to lay down one’s life for one’s friends” (John 15:13). We often take great comfort in these words, but we too often forget what he said immediately following: “You are my friends if you do what I command you” (John 15:13). He said to us last night, “I have given you a model to follow, so that as I have done for you, so you also do” (John 13:15). Help me, good Jesus, and instill the virtue of your meekness in my heart in greater abundance, for without your inspiration and special grace I cannot enjoy peace of soul amid life’s many vexations. Simply put, we do not follow the example of the Lord who gave his life for us. By false veneration he is betrayed again and again. For those who have accepted his invitation, however, it is following him all the way. ‘Come, follow me,’ he said, and now it has come to this. We kneel under the weight of doubt and fear and say, yes, we are prepared to surrender all. As we kiss the Cross let us desire to give ourselves to him as he has done for us. In a sermon preached in Paris in 1272 or 1273, an anonymous priest gestured toward the crucifix spoke these moving words: “Oh, see, Christian, look, look! See how [Jesus] has his head leaning down to kiss you, his arms extended to embrace!” As we approach the Lord to offer our kiss to him, so he desires to offer his kiss to us. How can we fail to hear in this image King Solomon’s words from his Song of Songs: “Let him kiss me with kisses of his mouth, for your love is better than wine, better than the fragrance of your perfumes” (Song of Songs 1:1). Blessed Teresa of Calcutta was right when she recognized in Jesus’ cry from the Cross, “I thirst” (19:28) that he thirsted not simply for physical drink, but more so for the spiritual drink of our love. In these words from the Song of Songs, it is right that we recognize in them our love and desire for the Lord; at the same time, they can also rightly be read as speaking of the Lord’s love and desire for us. As we seek today to show our love for the Lord by a kiss, let us not refuse the kiss the Lord seeks to offer us as a token of his love. Today, let us “look upon him whom they” – whom we – “have pierced” and let us not refuse his look upon us (John 19:37; cf. Luke 22:61). Thomas à Kempis, On the Passion of the Christ According to the Four Evangelists, 1. Joseph N. Tylenda, trans. [San Francisco: Ignatius Press, 2004], 17. Saint Thomas More, The Sadness, the Weariness, the Fear and the Prayer of Christ Before He Was Taken Prisoner: A Commentary on Matthew 26, Mark 14, Luke 22, John 18. In The Sadness of Christ and Final Prayers and Benedictions, Clarence Miller, trans. (New York: Scepter Publishers, Inc., 1993), 49. Roman Missal, Friday of Holy Week – Good Friday, 18. 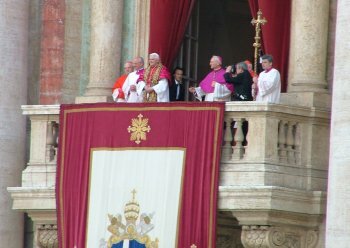 Pope Benedict XVI, Address at the Way of the Cross, 21 March 2008. Richard John Neuhaus, Death on a Friday Afternoon: Meditations on the Last Words of Jesus from the Cross (New York: Basic Books, 2000), 201. Anonymous Sermon for Good Friday in Paris in 1272 or 1273. In Sara Lipton, “‘The Sweet Lean of His Head’: Writing about Looking at the Crucifix in the High Middle Ages,” Speculum October 2005 [80:4], 1172. All this because of a donkey?